With India’s dedicated sleep startup Sunday, you can now just go online and choose from the already exclusive range with narrowed down options, ruling out any confusion, demystifying mattress buying . What’s more, they even offer a free 100 days trial, upping the benchmark of great service. Buying a mattress might be the easiest thing to delay. The chore of going to a department store to search for one is hardly something you want to spend your well-earned weekend doing and faced with the thought of getting stuck in a traffic jam, navigating a crowded shop and dealing with disinterested shop assistants is enough to put you off mood. Designed by an acclaimed Japanese designer, Hiroko Shiratori, the look is a blend of simplicity and elegance. The pillows come paired with the mattresses, remodeling the way we viewed mattresses so far. The brand strives to standardize the mattress buying experience in the country. Alphonse says, “At present prices for mattresses are exorbitantly high and the sales are completely price and promotion driven. Plus, there is no unified pricing as most brands are sold up to 30 percent discount in most of the stores all year round. Once the mattress is sold the after sales experience is also poor. Ideally, mattress has to be paired with the right pillow. However, pillows are sold as an afterthought and in most cases, cheaper pillows are given as freebies. There was a gap here as well.” The USP of the Sunday pillow is that it consists of 0.7 Denier microfiber, which is the finest fiber available with 50% more filling than of a standard pillow. This ensures that the pillow is soft (because of usage of finest microfiber) but at the same time prevents the pillow from flattening out. The highly specialized mattresses come in two variants, ruling out confusion- Sunday Ortho Plus which is relatively firm and meant for older people and those with back problems, and Sunday Latex plus, a softer version for the urban young. The pillows have been designed according to the mattress type and whether one is a side sleeper or a back sleeper. The ‘delight pillows’ are made of very fine microfiber and there is a ‘Sunday topper’ for those who want to make their mattress softer and a ‘Sunday protector pad’ for those who want to make their mattress last longer and stay hygienic. 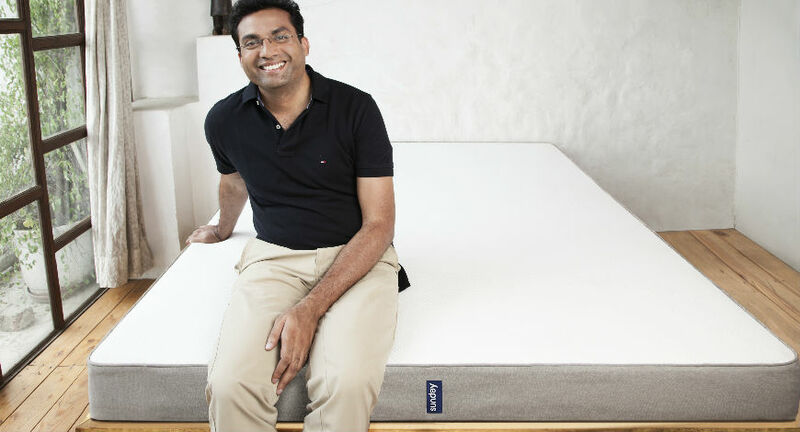 It is the first mattress brand in India that is using 100% latex certified by European standards, claims Sunday. The collection comprises of mattresses, pillow, topper and protector pad, which are comfort oriented yet adhering to the international trend of a clean, minimalistic look. Each product nattily carries the Sunday monogram. Founder, Alphonse Reddy comes with over a decade of experience across technology, sales and distribution, strategy and private equity domains. Alphonse worked with Flextronics and Sasken in London before joining Delta Partners with their strategy consulting and investment teams. He then ventured into entrepreneurship with first stop being Fabmart. He finished his engineering from BITS, Pilani and MBA from INSEAD business school, France.